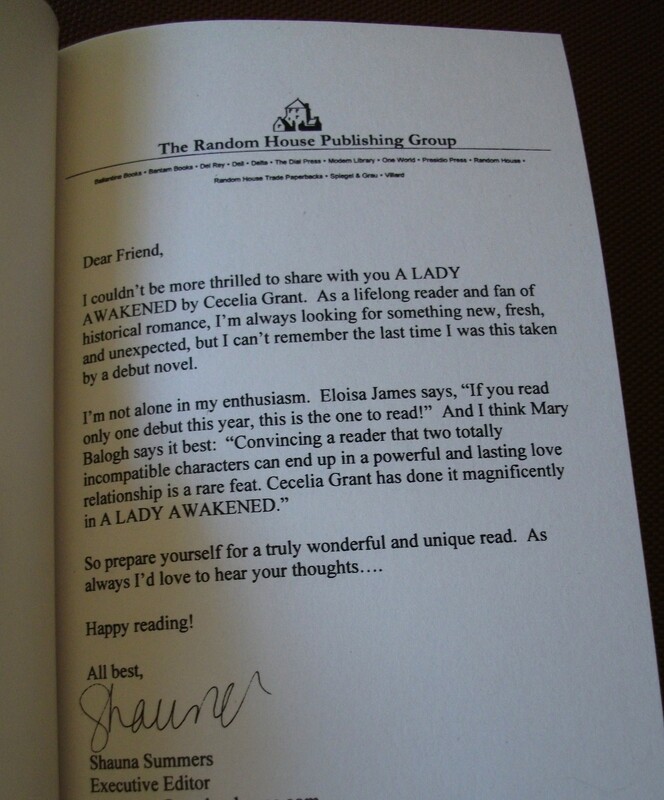 Now, I know ARCs are meant to sell books (to buyers for chains like Wal-Mart as well as via reviewers), but, never having seen one before, I did not realize that the first page is actually a letter from my editor, telling the reader just how fabulous the book is! And, may the god of polite self-effacement forgive me, I’ll now tell you what it says. 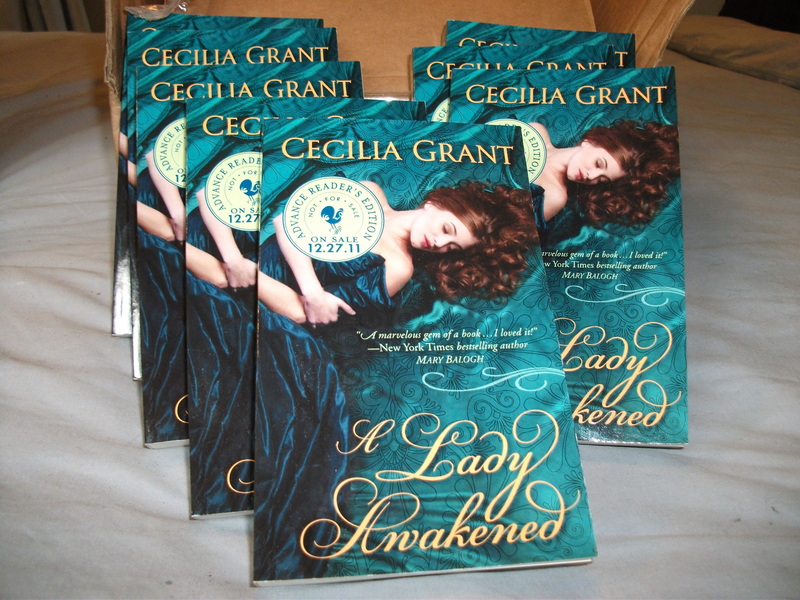 I couldn’t be more thrilled to share with you A LADY AWAKENED by Cecelia [Hee! They misspelled my name throughout!] Grant. As a lifelong reader and fan of historical romance, I’m always looking for something new, fresh, and unexpected, but I can’t remember the last time I was this taken by a debut novel. So I still can’t read that without getting a little dizzy. But there it is. And where was I? Right, ARCs! I’ve set a few aside for reviewers, but since the book’s going to be available on NetGalley and also, I’ve been told, Amazon Vine, I’m going to do some general giveaways on my Facebook and Goodreads pages when we get a little closer to the release date. I’ll announce those here and also on Twitter, so stay tuned.